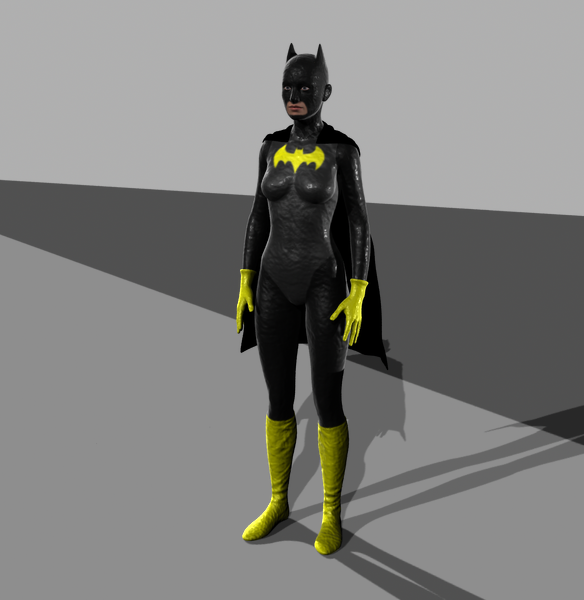 This is a set for Smay's SuperHeroSuit to turn it into Batgirl, it has settings for all 4 pieces of the suit, bat horns are included in this update. Ranzzlee (3 years ago) Inappropriate? Thank you for this. It looks good on my models except for the cowl, can't get the nose to not clip, and where to gt boots and cape? Hav0k (5 years ago) Inappropriate? Thank yo so much! Great work! tommyd79 (5 years ago) Inappropriate?